Boost Mobile signs on for its second outpost in the neighborhood. Boost Mobile is doubling down on the Lower East Side. The prepaid cellphone company, which already has a location on East 2nd Street between Avenues C and D, recently signed a 10-year deal for 500 square feet at 197D Madison St., between Rutgers and Pike streets. The asking rent was $120 a square foot. Margaret Royer, the broker with Square Foot Realty who represented Boost in negotiations, said the new location should appeal to “latte-sipping hipsters” who are in the Lower East Side neighborhood. Boost has several other locations in the city. On Madison Street it will replace a pizza and fried chicken restaurant. 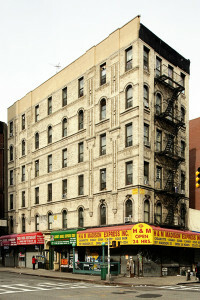 Howard Aaron and Aaron Gavios, also of Square Foot, represented landlord Dolphin Equities.